Woodleigh Residences is a 99 Year Mixed development located next to Woodleigh MRT Station. This development fulfills the duel need of leisure and convenience. This is a premium development at Upper Serangoon Road by Singapore Press Holdings and Kajima Development. The project will be in the core of developing Bidadari estate consist of residential and commercial facilities at the city fringe. Singapore Press Holdings (SPH) and Kajima Development noted that Bidadari was a new housing estate at the fringe of the city centre and that it was envisioned to be a “community in a garden”. 新加坡报业控股(SPH)和日本鹿岛房地产发展公司(Kajima Development)联合发展，被誉为比达达利区总蓝图之宝…桦丽居(The Woodleigh Residences) 和桦丽城(The Woodleigh Mall)即将待售!!! 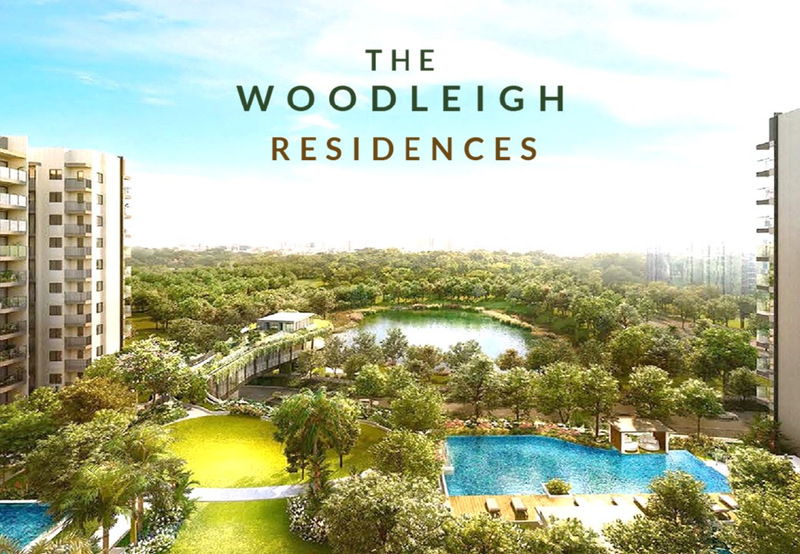 The Woodleigh Residences is a new 99 years leasehold development located right next to Woodleigh MRT Station by Singapore Press Holdings as well as Kajima Development. The top bid for the plot of land was submitted by Elara 1 and Callisto 1 whose parent company is Singapore Press Holdings as well as Kajima Development. The top bid of $1,132 million was received for the prime piece of residential and commercial units. The mix development is located at Upper Serangoon Road right next to Serangoon MRT Station. 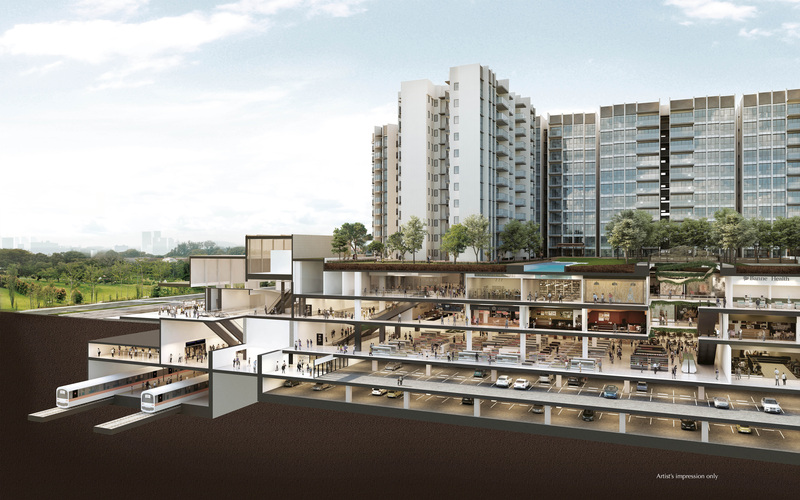 The Venue Shoppes is a new shopping centre located right next to Potong Pasir MRT Station. The unique shopping experience coupled with the location makes The Venue Shoppes one of the more highly popular shopping centres located around the Potong Pasir area. The Venue Shoppes provide shoppers with a unique experience such as enjoying panoramic views of the city. The Venue Shoppes is also located near to scenic parks and just 3 minutes walk away from Potong Pasir MRT Station. Shoppers will be able to experience a wide array of F&B and fashion choices with the 28 retail shops available at The Venue Shoppes. The Venue Shoppes will be a popular shopping centre due to the wide catchment of new 11,000 homes available at the new Bidadari housing estate. Nex Shopping Mall is one of Singapore’s iconic shopping centre located right next to Serangoon MRT Station. It is the largest shopping mall in the North-East area of Singapore and has a large catchment of shoppers who are living around the Serangoon and the Kovan housing estates. Nex Shopping mall is a popular shopping mall as it is directly linked to Serangoon MRT Interchange as well as the fully air-conditioned Serangoon Bus Interchange. Nex Shopping Mall has all the amenities that shoppers are looking for including NTUC Fairprice Xtra, Cold Stronge as well as a cinema. Other anchor tenants located within the mall include Serangoon Library as well as Isetan. There is also a rooftop dog park as well as wet playground for the kids to play with. Singapore Press Holdings was incorporated in 1984 and it owns of the real estate investment trust SPH REIT. Together with residential developments such as Sky@eleven, SPH looks to build another premier development for The Woodleigh Residences at the Bidadari Estate. It is considered to be a central location in Singapore and there are many plans underway for the estate. Plans are also underway to make Bidadari into a car-lite estate by having more pedestrian and cycling paths. The plan should be well received as Bidadari Estate is already at the city fringe close to the central business district. There are also various amenities around the area. Cedar Girls’ Secondary School is one of the top schools known for nurturing leaders of character. The school today has a total population of 1300 pupils making it one of the best schools where you can take your children when looking for quality education. The schools is known for offering an enriching as well as exciting school environment to enable pupils can enhance their character from a wide range of opportunities and experiences. All their teachers have high level of conviction, which character development is important in their lives. All programmes as well as systems aims to support the development of pupils in terms of morals, physical, aesthetics and social domains. The school has been receiving some of the best feedbacks in terms of their programmes boosted through strong partnerships and active parental involvement with vital external organizations. Maris Stella High School is a all boys academic institution that is one of the 11 Special Assistance Plan (SAP) high schools in Singapore. The school is found in 1958 by Marist Brothers and started operation with 163 Primary School Students as well as 124 Secondary School Students. The school started teaching in St Stephen’s School in Siglap but has since moved to their new permanent campus at Mount Vernon Road at Woodleigh near to The Woodleigh Residences. The School focus on academic excellent on each and every student and promote the holistic development that blends the student’s faith, culture and life. In 2002, Maris Stella High was designated as a Cluster Centre of Excellence for Information and Communication Technology. I'm interested in Woodleigh Residences. Please provide me more info!